Jordan Brand promised to make a bang this Holiday Season and they are expected to do so with their wide collection that includes an Air Jordan 14 GS. 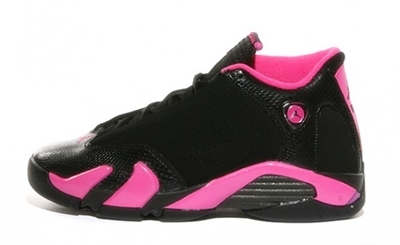 This Holiday Season, Jordan Brand will be releasing a new Air Jordan 14 GS in Black/Desert Pink colourway, which looks very simple but definitely impressive. If you are looking for a sneaker that will also be good as a gift this Holiday season, grab one of these and you will surely get your money’s worth!